This isn't so much the best of the best books that came out this year. And it's not necessarily books published this year: sometimes you just gotta reach back for a few oldies but goodies. This is the best books I've read. So if I didn't read ya this year, you ain't making the list. Siddown, Delillo. Stingray Shuffle, by Tim Dorsey. I really discovered Dorsey last year, when my twin brother suggested his wife enjoyed reading Florida fiction including the stuff by Dorsey. 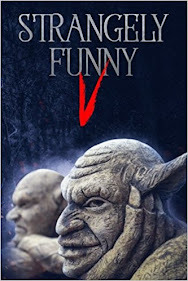 The series is basically about an obsessive-compulsive Floridian psychopath, Serge A. Storms, and his eternal quest for all things relating to the Sunshine State. Along the way, if anyone comes along to disrupt his attempts at travelogue, or restoration of local historical artifacts, he ups the body count. Seriously, more people die in a Tim Dorsey book than in all WWII movies combined. If you ever show up as a character in one of those books, RUN FOR YOUR LIFE. But still, Dorsey knows his stuff, especially all the crazy stuff about Florida, which is indeed truly one of the craziest places in the world to live/visit/engage in epic battles on. One of the bits I liked about Stingray Shuffle is one of the small subplots about a long-time Floridian who's also a cult-fave pulp writer who didn't write the Great American Novel, he just wrote a series of sorta-bad mystery thrillers. I have sympathy for such characters, mostly because *I'm* trying to write pulp novels too. So during the NaNoWriMo period past November, I reached back for this book, just to thumb through and get some inspiration from a fictional bard who didn't suffer from writer's block, just lousy timing. Harry Potter and the Deathly Hallows, by J.K. Rowling. The most anticipated novel since Dickens. The most hyped book sale of all time. Of COURSE I read the book: name me three people who didn't! There's pretty much only two contestants for this one: Stefan Petrucha and Sheryl Nantus. Here's hoping they don't find out they're the only two - last thing I want is a sword battle in an abandoned factory between them. Ahem. Second Line, by Sheryl Nantus. Sheryl's first regular fiction novel is your standard Girl Meets Vampires, Girl Teams Up With Vampire Hunter to Save Her Neck (literally), Girl Uncovers Diabolical Vampire Plot, Girl Saves Vampire Hunter, Girl Destroys Chocolate Factory to Save the World. Wait, what? Did I read that part about the chocolate factory right? Okay, maybe it's not that standard then. The novel did have its weaknesses: the heroine Jackie St. George, transferring over from the fanfic universe, gets out of a few scrapes with the vampire horde a little too easily when you consider how ruthless and lethal the vampire boss had behaved in the backstory. What saves the novel is the banter, the ear for dialog that Nantus has. Now only if those two FBI agent friends of Jackie would show up...! Yes, I'm a football fan. When my family moved to the Tampa Bay region, it was just as the Tampa Bay Bucs were starting up (rather miserably). I was nine when 1979 happened, and the team got good overnight and all the fans were thrilled. I stayed a fan through the Dark Times of 1983-1996, through the good times of Dungy's construction of a winning franchise, through the ups and downs of the current Chucky regime. And in all that time, as all the jinxes and curses related to the Bucs (couldn't win, couldn't win in the postseason, couldn't win in the cold, couldn't win on the West Coast) fell to the wayside, one jinx remained. The Bucs, in all that time, never ran a kickoff return for a touchdown in regular or postseason play. While it's tough to run a kickoff (or punt return) all the way back, it's not *that* hard: every other team (all 31 of them, including the newbies) has gotten one. Even the Houston Texans have one, and they're only 5 years old at this point. It got to be something of a running gag. All the game commentators would snark about it, the networks would flash the league statistics about it, and everyone would chuckle and feel bad about the poor Bucs and their special teams players. And then, the Atlanta Falcons came to play the Tampa Bay Bucs in Tampa, this December 16, 2007. A backup practice squad guy had been bumped up to kick return duties because the regular guy, Mark Jones, was out with injury. The new guy was one of those little-known, bounced-around-the-league kind of guy. Micheal Spurlock was his name. Number 17. Stores don't even sell his jersey number. Michael Spurlock took a kickoff at the 10-yard-line and never looked back. Other men will write better poetry about it (or will craft video homages with fan photos and video EDIT: link is gone sorry). Children will go to bed dreaming of it. Old men will weep and know that they had lived long enough to see the day. Our long national nightmare is over. As a Bucs fan I will be walking on sunshine this whole week. Not because the Bucs secured a postseason berth with this win over Atlanta. Because Spurlock finally made a kickoff return for my team. This is why we watch sports, and why we make athletes heroes from time to time. This is why No. 17 jerseys with the name Spurlock on it will be manufactured today and sold out by the end of tonight. Well. I'm at 14,000 plus words with about one day to go. I know I won't be making the 50,000 deadline by tomorrow. The good news is, people have glanced at my opening chapter excerpt and they liked it. So I will do everything I can to continue writing it at my own pace and see about getting it done as soon as possible. I *will* get this done. My workplace is starting up blogs for news and info updates to the public. Please keep an eye out for them! ...for any librarian that's looking for a project or activity they can promote. There's a writing 'contest' (more like a challenge as there's no actual prize at the end) called National Novel Writing Month AKA NaNoWriMo starting in November. It's an organized event encouraging would-be authors to take a month to write a book (at least 50,000 words worth) well enough to get published. It's a good way to encourage those interested in the creative writing field to try and get things done. The site allows for forums on which to share ideas, express frustrations, and earn support for the effort of getting something, anything, done. The library I work at has a creative writing group showing up every Thursday night. I am going to pass on the information to them. I've also mentioned the event to a coworker in the Youth Services dept., as NaNoWriMo is looking to get kids involved in the month-long event. This is it. Tonight is the release of the final book of Rowling's series, Harry Potter and the Deathly Hallows. The bookstores will be madcrazy with kids and families grabbing up copies right at midnight. And libraries, you might ask? Hudson Regional library is holding an all-nighter party. Other branches in the Pasco County system are waiting until Saturday morning to do our own. Centennial Park included. We're going to be holding games and contests, serving chocolate wands and pumpkin juice, and holding a door prize giveaway of three copies of the book itself. Oh. 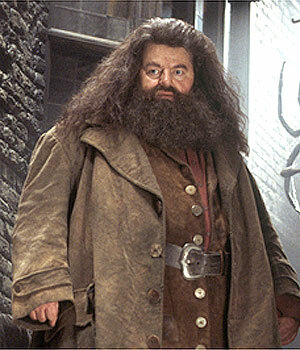 And I'll be going as Hagrid. Poor mum spent three weeks sewing the costume. We'll be posting pics as soon as available. And by patrons, I mean those who come to the libraries (patron is a formal term for library user). Ahem. The helpful hint: Please, it would really help just even a little bit if you could remember to bring your bleeping library card to the bleeping library. I mean, you've planned on coming to the library. You should think that having the library card on you would be useful at some point, correct? More and more, you need your library card with you, not just for checking out books but also taking care of so many other things at the library. Logging onto computers now uses a time reservation system that requires you to have a library barcode number. Placing books on hold, or on request, that needs your library card. ILL requests? Oh yeah, library card needed. Getting into the bathrooms? Well, that still requires the door key, but in the future well you never know. I keep getting amazed how people keep forgetting to bring their library cards with them. Libraries nowadays try to make it even easier, giving out keychain versions of the library card so people can have them handy, after all no one goes outside without their house and car keys right? So why the obsession over books with blue covers? As far back as I can remember, I always wanted to be a pirate. Oh, wait. Librarian. They didn't know the title. They didn't know the author. They didn't know the subject. All they knew was that their friends were reading it. Oh, and that the cover of the book was blue (and NO, it wasn't the used car price guide!). It wasn't always blue for the color, more like 90 percent of the time. Anyway, everyone was looking for books with blue covers. And it drove us insane. Eventually I added this meme of there being a blue-covered book out there as part of my convoluted website. And as things shifted over to blogging, I created this blogsite as a place to discuss/rant regarding issues of librarianship and hunting down mythic books. Oh, and *SHAMELESS PLUG ALERT* promoting my Cafepress and book sites. Visit Gainesville, FL, my old workplace to see how things were and how my friends there were doing. Results: Ate at a really good Viet restaurant on University Ave. just a block from the campus. Bought a t-shirt honoring the back-to-back basketball team heh. Attend the Bucs Draft Party for the 2007 NFL Rookie Draft. I had planned on going to NYC in person for the draft (hence the whole week off), but my brother canceled out due to work and so... Results: Got bored out of my mind because I went solo and didn't have anyone to hang with the whole time. Attend a Cupid.com Pre-Dating event in St. Pete and see if I could hook up with an interesting woman who likes me for me (36-yr-old Monty Python comic-reading geekoid who is owned by two cats). Results: met about 4 teachers, 1 desalinization expert, and zero supermodels. Oh, I did meet a few ladies who were impressed that Tehya is a jumper... but that was about it. Do be patient, I'm hoping to see how successful I am on this endeavor... okay, the Add Image command is here (click): Aha! Here's Tehya opening one eye at me wondering why I'm bothering her during a catnap. Hola. Welcome to my third blog (first one's regarding my adventures with City of Heroes, the second's regarding my interests in reforming government), this one focusing on my career as a librarian, currently working for a county library system in mah state of Florida. Oh, and the point of the blog's title: My ongoing quest to find the mythic Book With the Blue Cover! Enjoy the spring! Talk to you soon. Please add comments. Thanks. In what had been an epic struggle, I finally secured a proper blog address for this site: wittylibrarian.blogspot.com And there was much rejoicing! I'll be shifting things over from an earlier blog I was attempting on documenting my life experience as a librarian and as a smart-ss. Also, linkage to appropriate sites. And I'll do what I can to contribute to Friday Catblogging with the help of the two cats that own meh!